The Banks Condominiums I and II Association, Inc. 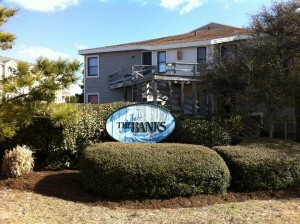 The Banks condos are centrally located in Kill Devil Hills and are the perfect vacation choice for active families or couples. This 32 unit condominium has both one and two bedroom units available. You can kick back and relax, or keep yourself busy, at the two community pools with a sundeck and shaded lounge area, or take a quick walk to the beach only 150 yards away.